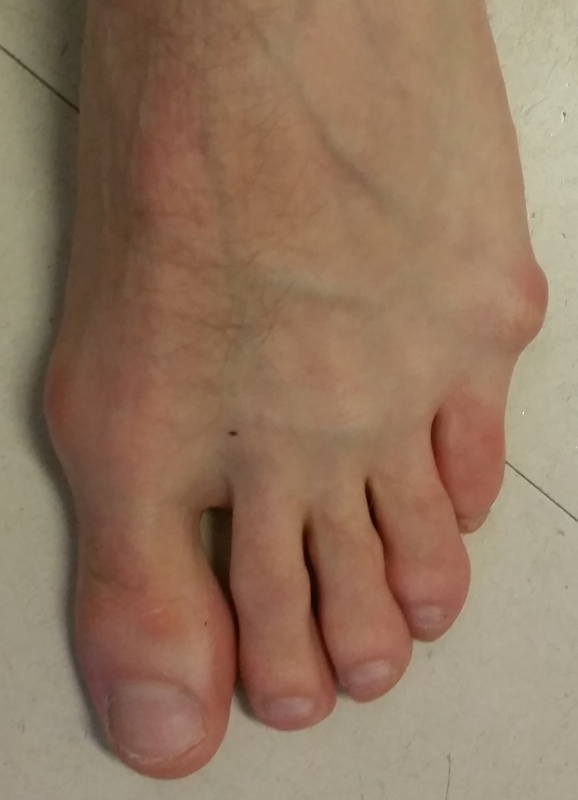 “Ttaylor bunion” is a frequent deformity located on the lateral side of the 5th toe’s base. It’s so named because of the crossed-leg sitting position responsible for a conflict with the ground. The deformity is similar and opposite to hallux valgus. Several anatomical causes are responsible. The most frequent are the deviation of the 5th metatarsal and the size of its head. In both cases there is a “bump” on the head’s side with a conflict with foowear. Redness and swelling are observed on the bump. Taylor bunion: bump of the 5th metatarsal’s head. Taylor bunion: bursitis resulting from the conflit with footwear. As always, surgery should only be made in late therapeutic path where all the less aggressive techniques were implemented. Taylor bunion: a very personal special solution to treat conflict with footwear. Consultations with a podiatrist are also to be considered. He is able to make custom made silicone orthoplasties, small molds made directly on the patient’s foot, in order to limit the direct contact with the shoe. However, they sometimes compress too much the forefoot because they occupy a significant space, and in this case are quickly abandoned by the patient. The treatment consists of an osteotomy of the 5th metatarsal. This bone cut allows the metatarsal reaxation. This is what patients call “putting back the head of the bone inside the foot”. When performed in a conventional open fashion, surgery approaches the “bump” and the distal part of the bone to perform the osteotomy. 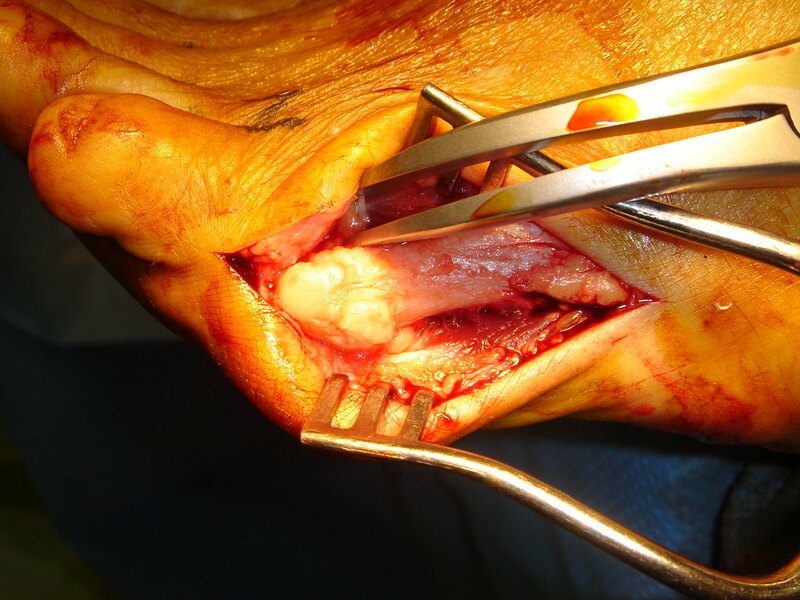 Taylor bunion: open surgery approach of the 5th metetarsal. These new procedures are simple to perform, quickly realized, and allow an immediate full weight bearing. Unlike hallux valgus surgery, there is less inconvenience in doing both feet at the same time, of course on the only condition that symptoms are really present at the time of surgery. Technically, a motorized burr is introduced under the skin in contact with the bone, under the control of peroperative radiography (fluoroscopy). The burr’s rotation makes the bone cut, which allows to move the 5th metatarsal’s head“back inside the foot”. The head’s fixation in its new location is assured with a metallic pin that does not hinder the immediate walking. It’s withdrawn during the consultation at 3 weeks, without any pain. Taylor bunion : 5th metatarsal’s head percutaneous burring and osteotomy. The post-operative dressing is left in place for 48h. It allows full weight bearing and taking confidence at home. 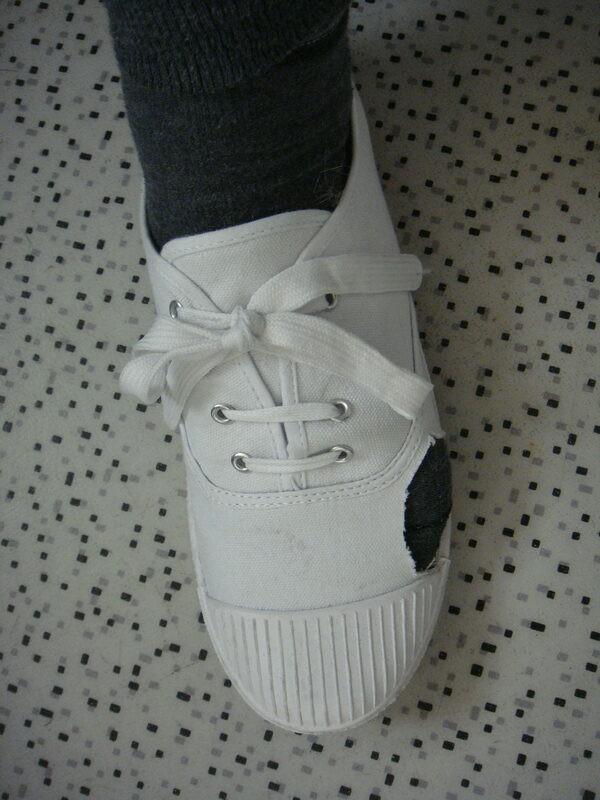 It’s then replaced by a small bandage (no stitches) fitting into usual sneakers. As for hallux valgus, it’s suitable to raise the bed’s feet to reduce the swelling. After taylor bunion surgery however, it is much less. Cycling and swimming can be resumed after a month, jogging at two months. 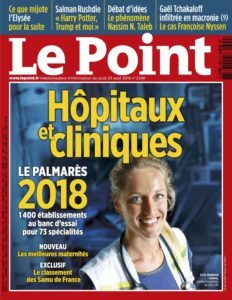 Le pansement post-opératoire est gardé 48h et permet l’appui complet en prenant confiance à domicile. Il est alors remplacé par un petit pansement (aucun point de suture) rentrant dans une basket habituelle. Il convient comme pour l’hallux valgus de surélever les pieds du lit pour réduire l’oedème. Dans ce cas, il est toutefois bien moindre. Le vélo et la natation peuvent être repris au bout d’un mois, le jogging à deux mois.